I spent one of the most delicious summers of my life in Rio de Janeiro, Brazil. I lived in an apartment in the Copacabana neighborhood with three other girls and a house mother, and attended language school every day. As you can imagine, I ate my weight in tropical fruit, drank many caipirinhas on the beach, and had an amazing time in general. One of the treats I learned to appreciate? 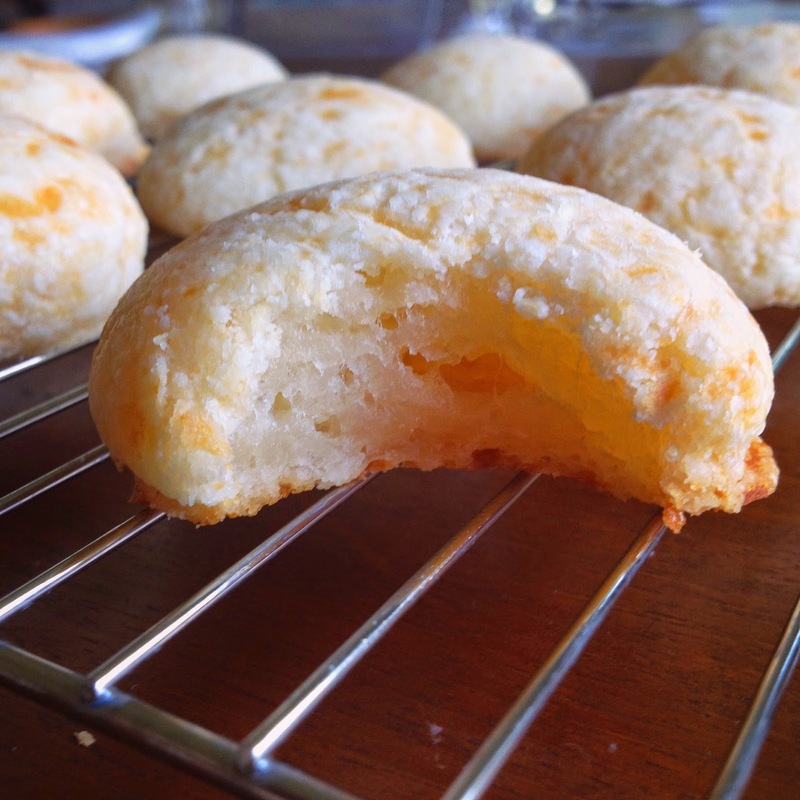 Pão de queijo, cheesy little bread bites that everyone eats for breakfast or a mid-afternoon snack throughout Brazil. With the World Cup going on in Brazil right now, I’ve been reminiscing about that summer in all of its delectable glory. I decided to find a recipe and try my hand at making these treats for myself. I was worried they wouldn’t turn out, but this recipe is super easy! I may even get brave and move on to bolinhos de bacalhau (salted cod fritters) and feijoada (pork and black bean stew) next! Preheat oven to 355 degrees F. Butter or spray a couple of baking sheets with baking spray, set aside. In a large bowl combine dry ingredients until well mixed, then add in the cream. 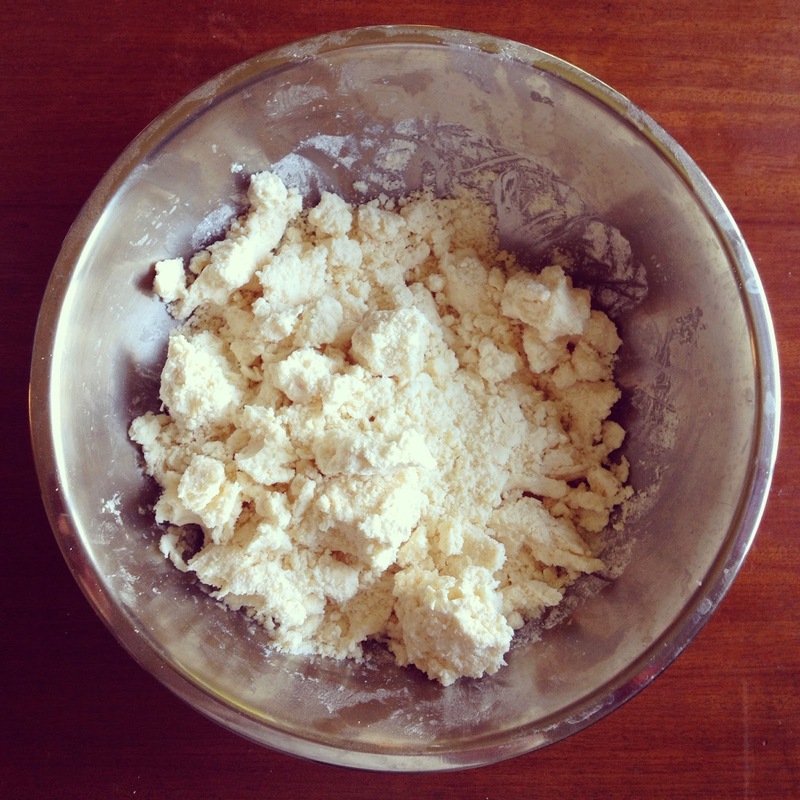 Knead until mixture holds together when you squeeze a handful. 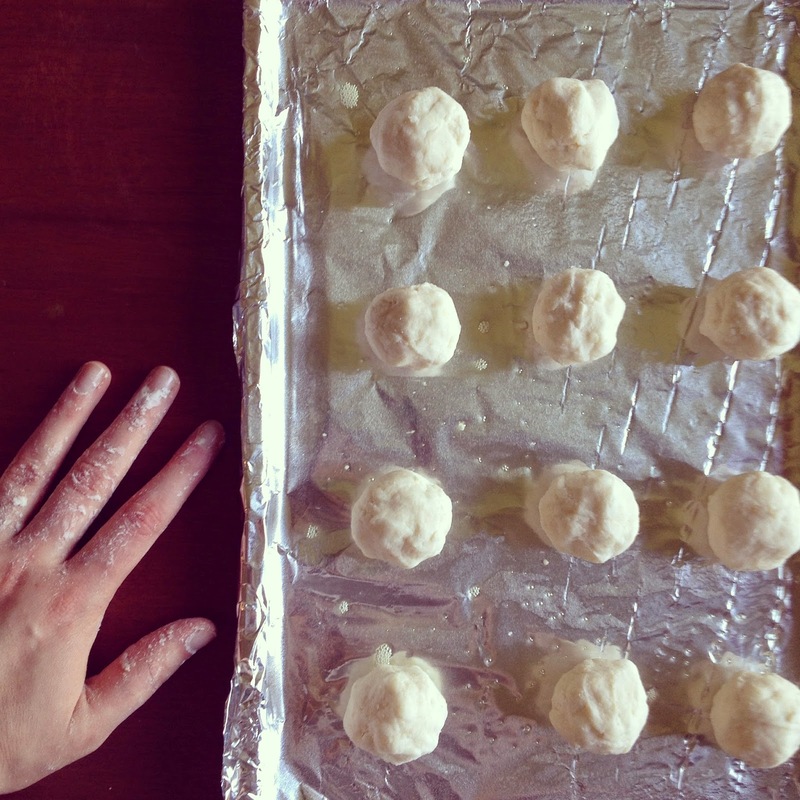 With your fingers, gather small portions of dough and form balls (2-3 tablespoon-sized). You may need to squash the dough into balls, but they’ll hold together in the oven. Don’t give in to temptation to add more liquid! Place the balls on the prepared baking sheet and bake in the oven until golden brown, around 18-20 minutes. Let cool a bit, and enjoy! Makes 3 dozen cheese bites. 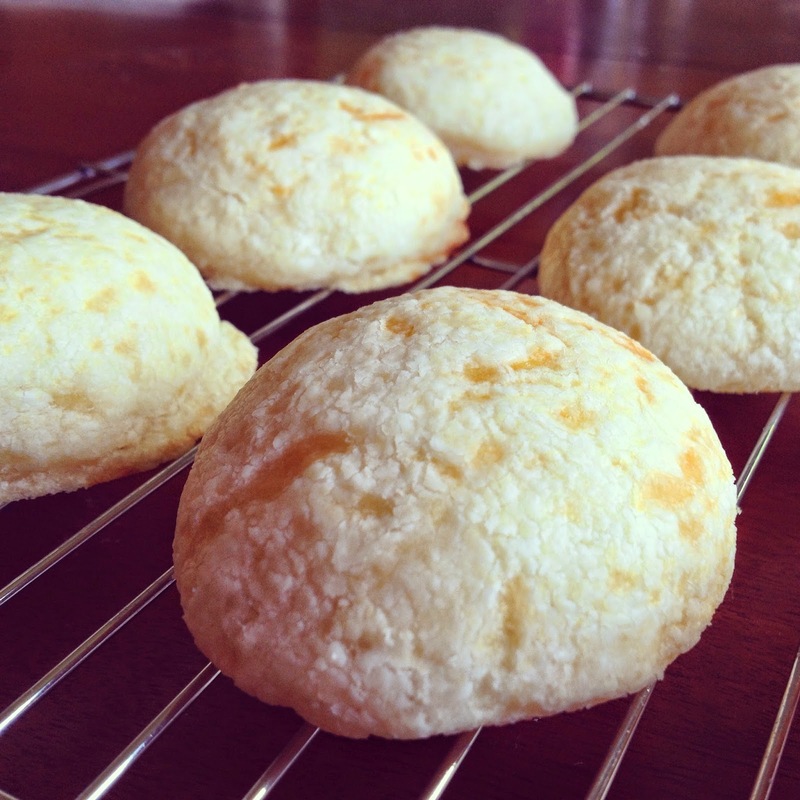 Recommended for: a delicious, gluten-free savory snack, an authentic Brazilian appetizer, and a special treat for the cheese-obsessed. I need these cheese ball things in my life. You just can't go wrong with cheesy bread in any form. Yum! Oh look how great yours came out! I just ran into a recipe for these the other day (World Cup recipes, of course). Now I'm encouraged to give them a try. Those look delicious. What a terrific way to celebrate the World Cup. These look SO good! I'm definitely going to have to try them out. Yummy.... they look so good and light. These little bites look so good. 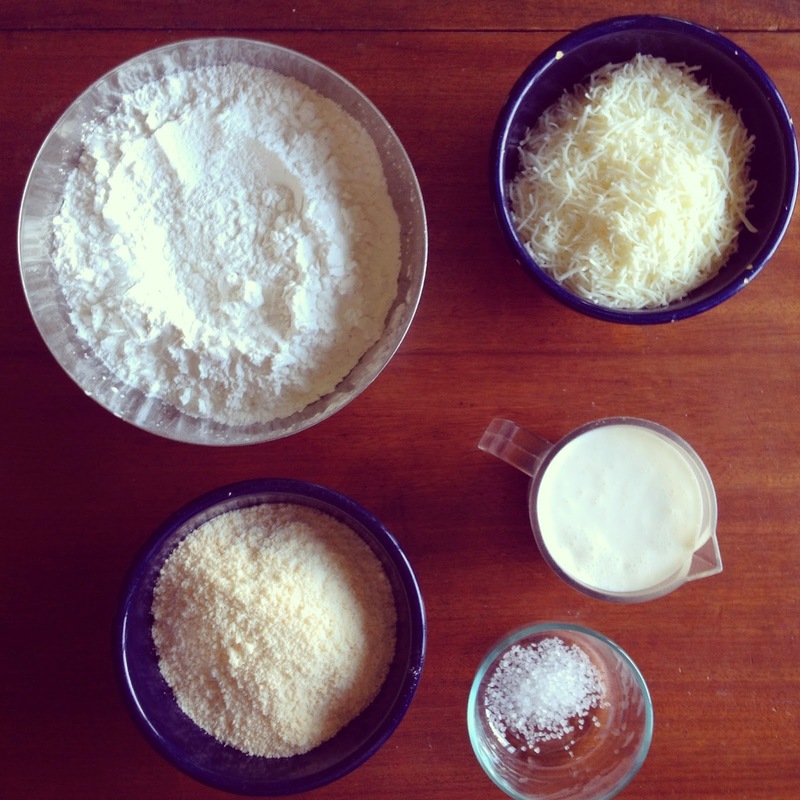 I'm curious about the tapioca flour - curious enough to give this recipe a try. Thanks so much for sharing. I'm itching to try one. In case you all decide to make these, they're best on the day they're made (fresh). If you keep them for a couple of days, store in an airtight container and reheat briefly before serving. They're denser less sticky/yummy on the 2nd day, though. Wow, that sounds like a fantastic way to spend a summer. What wonderful memories. Love the bread too but I really enjoyed hearing about your Brazilian summer!